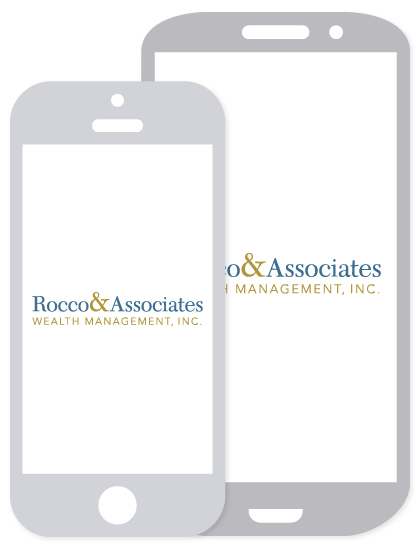 Market Outlook - May 2018 | Rocco & Associates Wealth Management, Inc.
2017 was unusual in more ways than one for financial markets. It was a year of record low market volatility and above average U.S. market returns. On the other hand, 2018 has seen increased volatility, pedestrian market growth, and an uptick in geopolitical events that have upset the markets. However, we believe that the volatility we are seeing is par for the course and that the most important indicator, our economy, remains strong. In addition, geopolitical risks, while scary in more ways than one, have historically had minimal sustained impact on the market. These factors lead us to believe that 2018 may not end as we fear. It is becoming evident that 2018 represents a return to normalcy in the domestic markets. Through 2017, the S&P 500 has risen for nine consecutive years, and during seven of those nine years it has increased by double digit amounts. Just like eating a big meal requires some time for digestion, this extended period of positive returns requires a period of volatility to progress further. Prior to the return of volatility, we experienced the longest stretch ever without a 5% correction of the S&P 500. The streak began after the conclusion of the Brexit vote in June of 2016, and lasted more than 18 months until the latter days of February. There have been comparable streaks in prior bull markets, and the good news is that after these similar streaks, the bull market has continued on for some time. The chart below illustrates that volatility has always been present in the markets, but even with some volatility, the market has not deviated from a steady upward trend. Despite the market volatility and the concerns of investors, the economy continues to expand at a moderate pace. This growth is causing the Federal Reserve (“Fed”) to leap into action, but will they take measures too far? The Fed expects Growth to accelerate and stabilize through the conclusion of 2018, reflecting a pick-up in exports, inventories, government spending, fiscal stimulus and tax reform. Due to the solid Gross Domestic Product (“GDP”) growth in 2017 and 2018, they expect the unemployment rate to fall to 3.8% and the economy to grow by 2.7%. As the global economy continues to strengthen, the U.S. nears many of its long-term targets, like lower unemployment and increasing inflation. The Fed’s belief in a fundamentally strong economy has prompted their decision to continue to raise interest rates. The Fed also reported increasing prices at a moderate pace this past month, a sign of inflation, partially due to the rise in the price of steel and aluminum, as a result of the new tariffs. In addition to the Fed’s work at home, there has been a lot going on overseas. The emotional response to geopolitical events is a normal human reaction and, since investors are human, these events will cause market reactions. However, history has shown us over and over again that geopolitical events generally do not have sustained impacts on the markets. According to Credit Suisse’s Head of Research and Deputy Global CIO Giles Keating; “The large majority of individual major events — ranging from the assassination of Archduke Ferdinand 100 years ago through to 9/11 and recent events in Iraq and Ukraine — impact major stock markets by around 10% or less, with the effect being fully reversed within a month or so.” Geopolitical events have had an impact on financial markets for centuries. 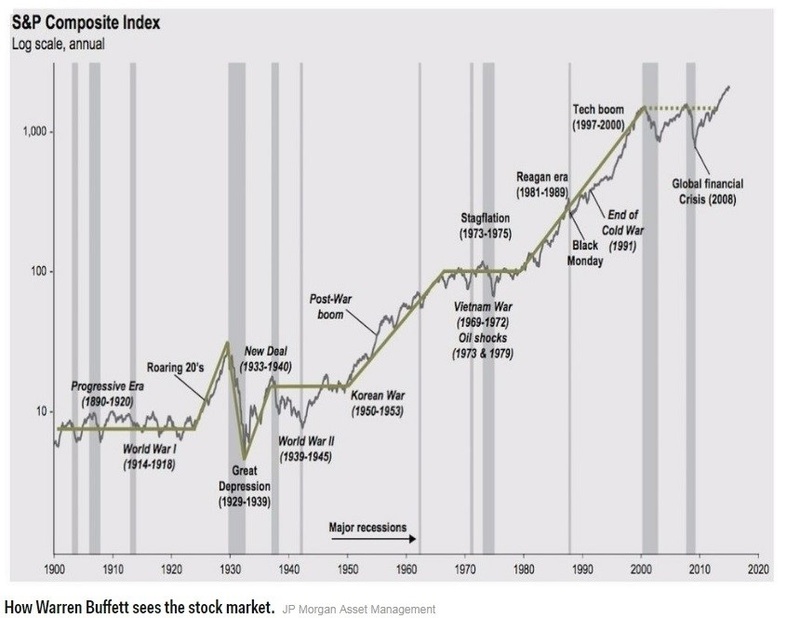 The chart below demonstrates the steady growth of the S&P 500 index despite extreme political events, such as the first and second World Wars and the great recession. Although financial markets react to geopolitical risk, the reaction pales in comparison to the reaction we see to economic changes. Economic indicators such as GDP, unemployment rate, and Consumer Price Index all have a much more sustained impact on the markets. While a return to volatility is scary and geopolitical unrest is worrisome, if history has taught us anything, it is that the markets will continue to prevail through it all over time. Additionally, your financial plan takes these factors into account because your plan has its roots in history. If you have questions, then we have answers! The most important part of the financial planning process is your comfort and understanding of your plan, so if you have questions about the markets or the economy don’t hesitate to reach out! The opinions voiced in this material are for general information only and are not intended to provide specific advice or recommendations for any individual. To determine which investment(s) may be appropriate for you, consult your financial adviser prior to investing. All performance referenced is historical and is no guarantee of future results.